ryan and i absolutely love to bake and we really enjoy decorating our baked goods. 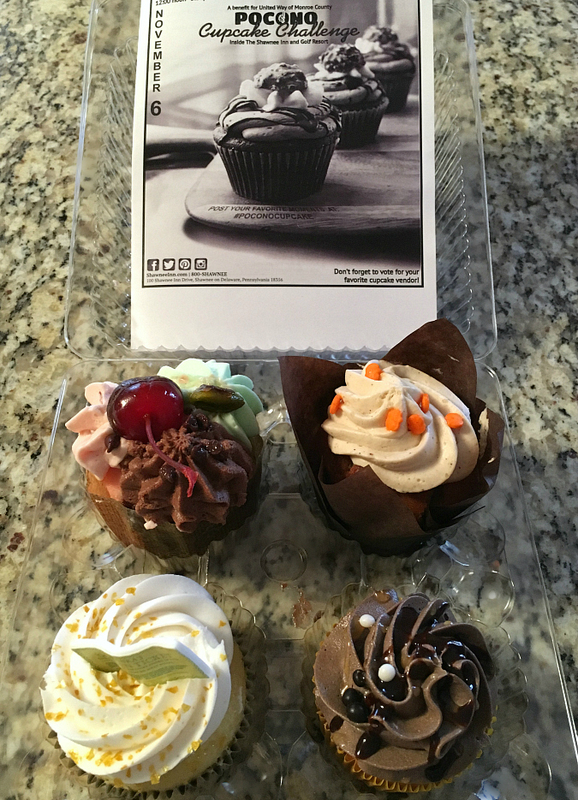 so on sunday, we headed down to the poconos to check out the 5th annual pocono cupcake challenge at the historic shawnee inn. professional bakers, home bakers, and youth bakers from around the area volunteered to bake and donate cupcakes which were judged and awarded in different categories. it was fun to check out all of the creations and it was for a good cause too since the event benefited the united way. on our way home, we stopped by my parents' house to share our cupcakes with them. the 4 cupcakes we tried were: spumoni, pumpkin chai spice, vanilla filled with raspberry chipotle topped with white chocolate, and banana walnut topped with peanut butter and chocolate. 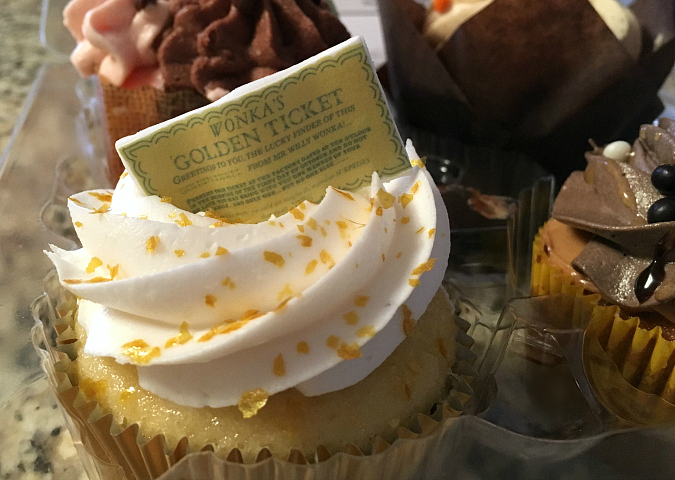 after our taste test, we all agreed that our favorite was the pumpkin chai spice cupcake. Sounds like the displays we very creative. I will have to take the time and go next year. The cupcakes flavors were also creative and delicious. You and Ryan can enter next year. That Willy Wonka display is really cute and colorful.